Summer in a bowl! Perfect side salad with fresh summer vegetables. Enjoy! 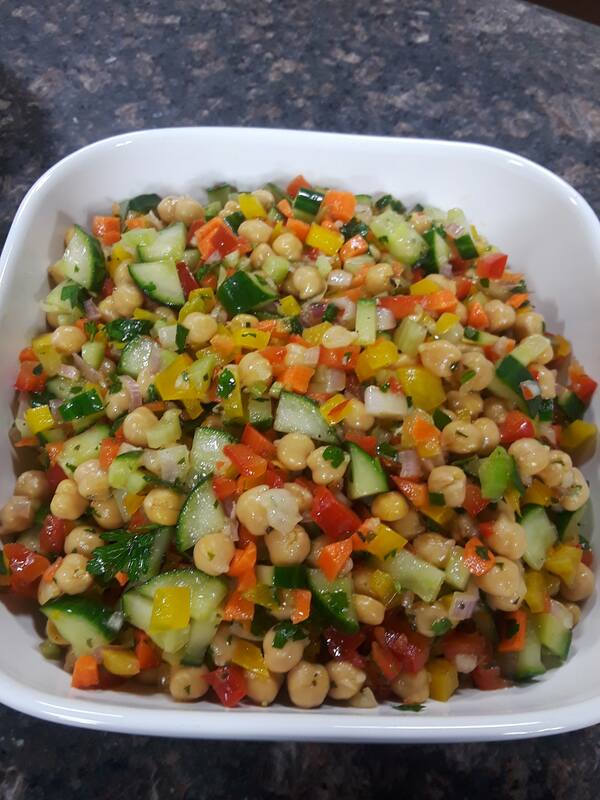 In a large bowl, combine chickpeas, shallot, celery, red and yellow peppers, carrot, cucumber, pickles and parsley. Mix until well combined. In a small bowl, whisk garlic, lemon juice, olive oil, salt, pepper and dried oregano. Stir dressing into chickpea mixture.